Judith Christian Lynn, age 73, passed away on Monday, April 8, 2019 at Pruitt Health Care, Ridgeway, SC. Judy was born July 30, 1945, in Albemarle, NC, where she spent most of her childhood. She and her family moved to Columbia, SC, where she lived her teenage years. She was born with Down Syndrome; therefore, she lived her adult life in assisted living facilities. Since she functioned at a high skill level, at one point, she lived in her own apartment, which was connected by intercom to house staff. These were probably her happiest years. She had a group workshop job packing kits for McDonald's. She was very proud of her paycheck. 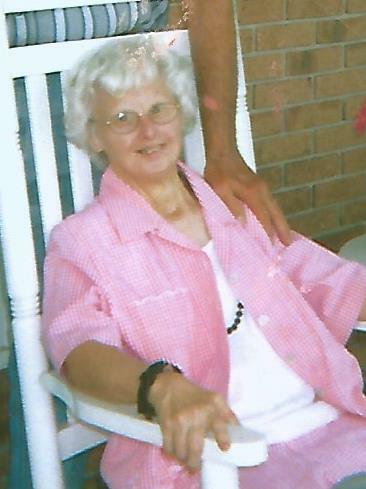 She was a lifetime member of Columbia Presbyterian Church. Judy is preceded in death by her father, Arthur Simmonton Lynn Sr; her mother, Mary Alice Boyd Lynn; her brother, Dr. Arthur Simmonton Lynn Jr; her uncle, Matthew Lynn and her loyal aunt, Libby Lynn. She is survived by her sister-in-law, Paula Phillips Lynn, of Granite Falls NC; her niece, Amanda Robin Smith, of Granite Falls NC; and Loretta Phillips Triplette, of Granite Falls, NC. Judy became critically ill in 2005, after which, she became a resident of Pruitt Health Ridgeway. This has been her home, her church, her beauty shop, her restaurant, her theater, and her community for the past fourteen years. The staff lovingly cared for Judy, as they would have their own family. Dr. Ronald Johnson has served as her caring physician for most of those years. He frequently described Judy as a joyful person. She did, indeed, bring great joy to those around her. She would always greet visitors with a big smile, as she declared, "I didn't know you were coming to see me"! A Celebration of Life service will be held at 2 o’clock PM Saturday, April 13, 2019 at Pope Funeral Home in Winnsboro, SC. The family will receive friends one hour before the service in the funeral home. Burial will follow at Union ARP Church Cemetery, in Richburg, SC, at approx. 4 o’clock pm. Donations may be made to the National Down Syndrome Society (NDSS) in lieu of flowers, 8 E. 41st Street, 8th floor, New York, NY, 10017. Pope Funeral Home is assisting the Lynn family.